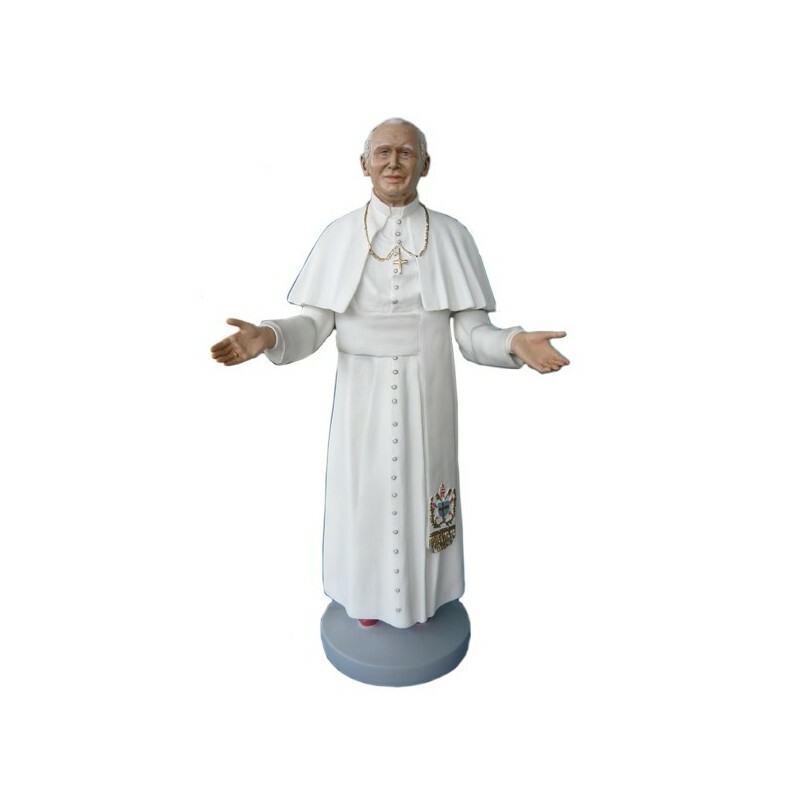 Statue of Pope John Paul of 50 cm. Karol Jozef Wojtyla was born on the 18th of May 1920 in Wadowice (Poland) and he died on the 2nd of April 2005 in Vatican City. When he was nominated on the 16th of October 1978, he assumed the name of Pope John Paul II, the 264th bishop of Rome. He was the first non-italian Pope after 455 years. During his pontificate (26 years) he made numerous trips, gathering enormous crowds. He was subjected to an attack in St. Peter’s Square by Ali Agca, who shot him twice. The attacker was immediately arrested and Pope was carried to the hospital, where he was urgently operated . He survived. Two years later Pope John Paul paid a visit to his attacker, with whom he had a long secret conversation. Towards the end of 1991 we saw the first signs of the Parkinson’s disease and many years later also an acute arthrosis of the right knee, which forced him walking with a cane. It is said that his last word before the death was “Amen”. Six days later occured the funeral that was celebrated by the cardinal Joseph Ratzinger. There were 200 heads of State and representatives of all the religions. About 300.000 people took part to the ceremony in St. Peter’s Square and about 2.000.000 people followed the funeral from Tor Vergata and other Squares in Rome. 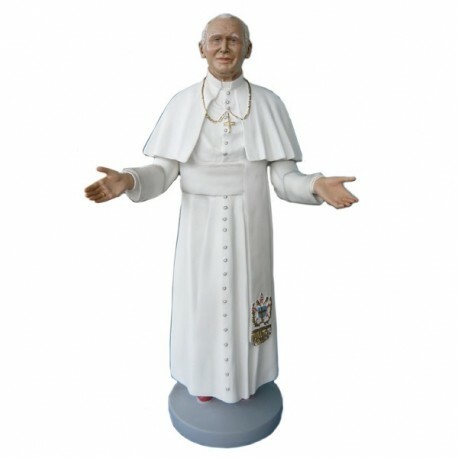 On the 1st of May 2011 Pope John Paul II was beatified by Pope Benedict XVI. He is commemorated on the 22nd of October.